1.25: The Employer Advocate Quarterly Seminar | Join the 2nd quarterly seminar for the Employer Advocate, covering DC commercial landlord tenant law and navigating DCRA with facilitator, Tom Martin, Partner, GMP, LLP. 1.25: DC Business Certification Program: Living Wage - Grant Information Session | Learn about a new funding opportunity awarding up to $125k to an eligible DC-based non- profit, with the possibility of renewal of a portion of the funding for up to an additional two years. 1.25: Cocktails and Connections | As part of the Grow and Glow series, Cocktails and Connections is a networking event designed for women from all sectors to connect and share information about their journey as professionals and leaders. Produced and hosted by the Inclusive Innovation Incubator. 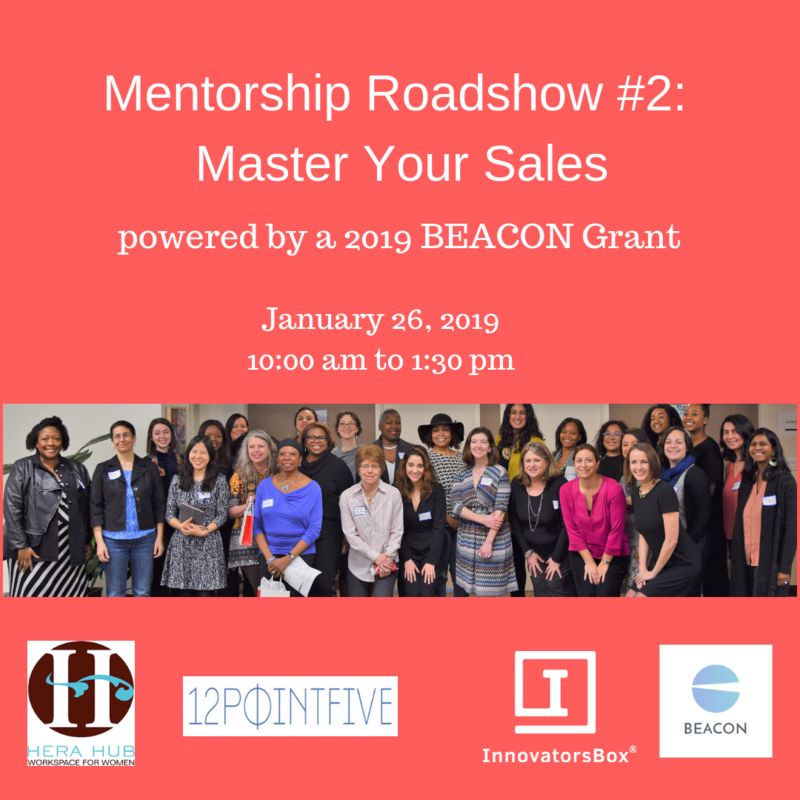 1.26: Mentorship Roadshow #2: Master Your Sales | A free workshop for women business owners who want to increase their sales, presented by Hera Hub DC, 12PointFive and Innovator's Box. 1.26: Board Basics A to Z | Help your board members understand the expectations and responsibilities of a nonprofit board through this one-day training. 3) Learn how to move from ideas to execution. 1.30: D.C. Bar PBC Legal Clinic - The Yard Eastern Market | Meet one-on-one with attorneys at this brief legal clinic. Topics that can potentially be explored include business formation, contracts, leases, taxes and/or other legal matters related to small business. 1.30: Life After Shark Tank - It's Not Just About the Money | Join a panel of previous Shark Tank participants and current DC-based entrepreneurs to learn what it really takes to get in front of an investor and how to land those imperative business deals. Presented by the GW Office of Innovation & Entrepreneurship. 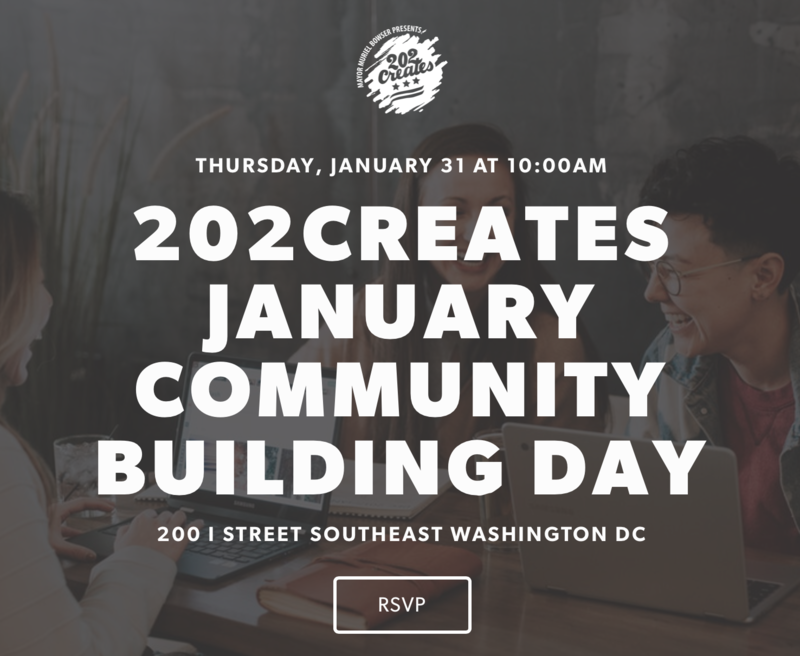 1.31: Join 202Creates and the Vinetta Project for the first Community Building Day of 2019! Each month, 202Creates invites the District's creatives and entrepreneurs to the Office of Cable Television, Film, Music and Entertainment to build new skills, tinker in their podcast and photography studios, get specific business and legal advice and more! 1.31: DC Econ UNPLUGGED | Deputy Mayor for Planning and Economic Development Brian Kenner invites you to DC ECON UNPLUGGED, an event that connects YOU to DC's economic development. From arts to housing, transportation to environment, get connected to the services and resources that grow DC’s economy! 1.31: Persian Women In Tech | Join Persian Women in Tech for a panel discussion on how tech products and services can impact businesses. Persian Women in Tech is dedicated to celebrating and empowering Persian and MENA women in Tech/STEM from across the globe. Join engineers, founders, intrapreneurs, entrepreneurs, investors, and technologists for this engaging event. 2.09-3.09: Startup Saturdays for Future Entrepreneurs and Small Business Owners | The Development Corporation of Columbia Heights in partnership with Drs. Legand Burge and Grant Warner of Howard University will actively engage and challenge course attendees in the immersive Lean Startup entrepreneurship curriculum that is evidence-based and fast-paced. 2.20: Beyond 5 - A Dialogue about Building Sustainable Enterprises through Inclusive Economics | Blending interactive dialogue with accomplished startup founders and an experiential New Majority Marketplace, hosted by 1863 Ventures, WeWork Labs, and BLK&GRN. 3.27: Small Business Toolkit from DSLBD | Capitol Hill Business Session | Learn about DSLBD's new free, centralized online portal - the Small Business Toolkit - that includes access to resources, events, agency and service provider points-of-contact, and business networking. 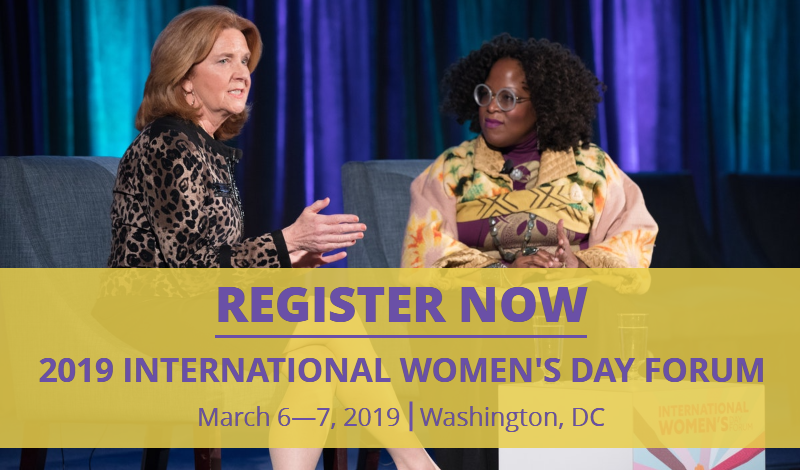 3.28-3.29: 2019 Georgetown University Women’s Forum | Save the date for the 2019 Georgetown University Women’s Forum at the Walter E. Washington Convention Center. The second annual forum will celebrate Georgetown women from each of the nine schools and will include phenomenal keynote speakers, interactive workshops, and networking opportunities. Do you want to speak at a DC meetup (such as Art + Code Collective, Black Code Collective, Women Who Code DC, TechTalkDC, etc.)? Pitch to multiple organizers at once here. 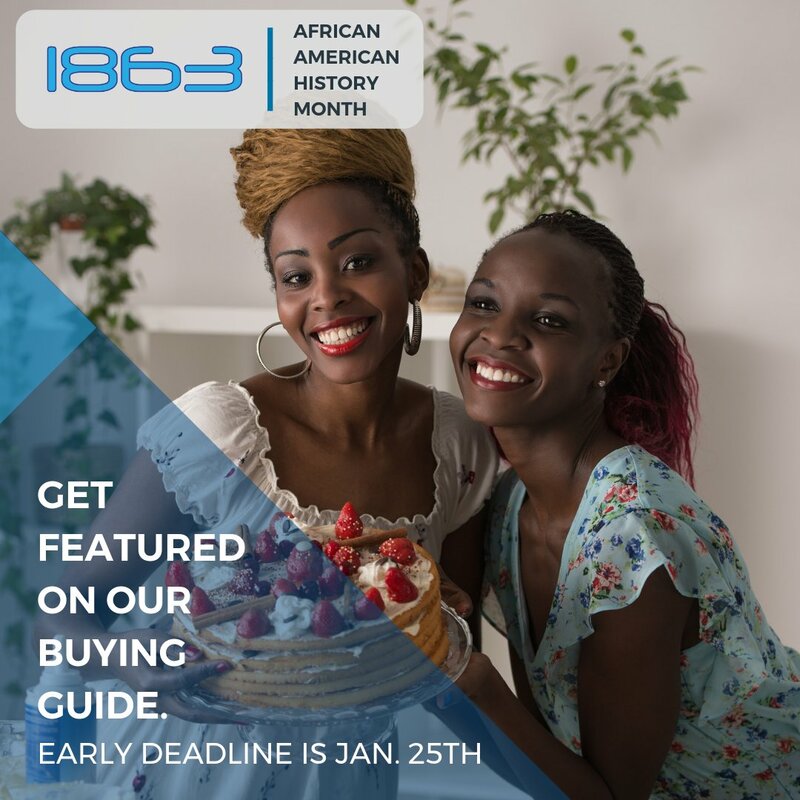 Get featured in 1863 Ventures' African American History Month Buying Guide! They will feature New Majority e-commerce entrepreneurs starting Feb 1. There is no cost to be featured but submissions will be curated. If you have any questions, email steven@1863ventures.net to assist. Apply here by the early deadline of 1/25. Fill out a 10-minute survey on the social enterprise ecosystem in your city and you'll be entered to win prizes like a ticket to SOCAP19 or Amazon gift cards. Enter by 1/31. Do you work remotely (from home, co-working space, coffee shop, etc.)? If yes, can you lend 10-15 minutes for a market research interview call? Female founder, Sarah Hostyk, has a few short questions regarding behaviors/needs. Please email sarah@placetempo.com. Are you a furloughed #womanintech interested in attending the Women in Tech Summit's Mid Atlantic Conference on March 28-29 in Washington, D.C.? A limited number of scholarship are available. Apply by 1/25 to be considered. Any applicants not awarded a scholarship will be given a code for 50% off a regular price ticket. The Vinetta Project's 2019 Venture Challenge is now accepting applications! Finalists who make it on to the final Showcase will compete for $20,000 in cash. First-time applicants apply here and repeat applicants apply here. Even if not admitted to the pitch showcase, by applying you become eligible for a variety of capital opportunities, exclusive founders and funders dinners, a bi-annual problem hacking program, and more! Are you the founder of a women-led business who's determined to change the world in pursuit of your dreams? Have you worked hard enough to generate at least $25k in revenue? If so, you might be a perfect fit for EnrichHer funding. Learn more and apply for EnrichHER's small business loans. The Black Girl Ventures (BGV) Pitch Competition is headed to SXSW on 3/11! BGV works to create access to capital for Black and Brown women founders and was founded right here in Washington, DC! In this untraditional competition, the audience votes and determines the winner. Apply to pitch or register to attend live in Austin, TX. The Peace Tech Accelerator is looking for early-stage startups and non-profits that are ready to scale on the cloud. Ideal applicants include a strong founding team, an innovative solution, and an impact focus related to their core innovation teams. Admitted companies will receive a $25,000 investment for a 5% equity stake. Non-profit and for-profit ventures welcome. Cohort begins 3/25. Indie.vc is coming to DC and they are looking for post-revenue companies. There is no fixed investment amount but they have funded companies between $100k and $1M. See if you're a good fit and apply here + RSVP for the DC engagement. Adobe wants to help early-stage creatives push their careers forward. As a 2019 Creative Resident, you'll be supported with a full year of salary, health benefits, mentorship, access to Adobe software, speaking opportunities and more. Learn more and apply by 2/7. Apply to FHI Ventures’ Social Enterprise Facilitator: FHI Ventures is a social enterprise accelerator supporting early stage businesses with the potential for high impact and a commitment to delivering social and financial returns. Pipeline Angels aims at creating capital for women and non-binary femme social entrepreneurs. Join them! Check out funding opportunities by the Government of the District of Columbia and ongoing opportunities sourced by EnrichHer. The Pipeline Accelerator Program actively recruits and retains a pipeline of investment ready businesses who can scale through supply chain contracts, tech scouting and M&A/JV opportunities. Hosted by 1863 Ventures, the program targets New Majority entrepreneurs in Washington, DC and takes place over a four-month period with a one-week intensive residency. As a cohort-driven training program, curriculum focuses on product-market fit and addressing the needs of both product and service providers. Apply by 1/26. The Impact Accelerator provides entrepreneurs with a platform to take their ventures to the next level. The program lasts 8 weeks and meets twice weekly in the evenings. Unlike the majority of accelerators, SEED SPOT takes 0% equity in your company. Do you know about the Green Book? The Green Book - coupled with the online resource CBEconnect.dc.gov - is designed to help Small Business Enterprise (SBE) business owners. View contracting opportunities and spending goals for 84 monitored agencies. Need Help? You can hire an intern through DC Public Schools! Did you know you can host an intern that will be paid by D.C. Public Schools? Learn more about the DCPS Career Bridge Program and apply to host an intern during the school year! 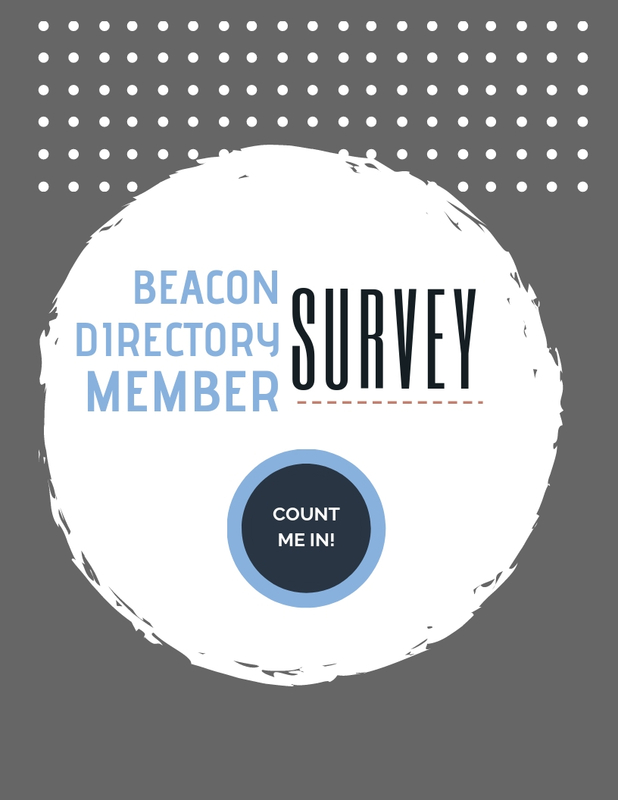 Be sure to mention "BEACON" in your application. 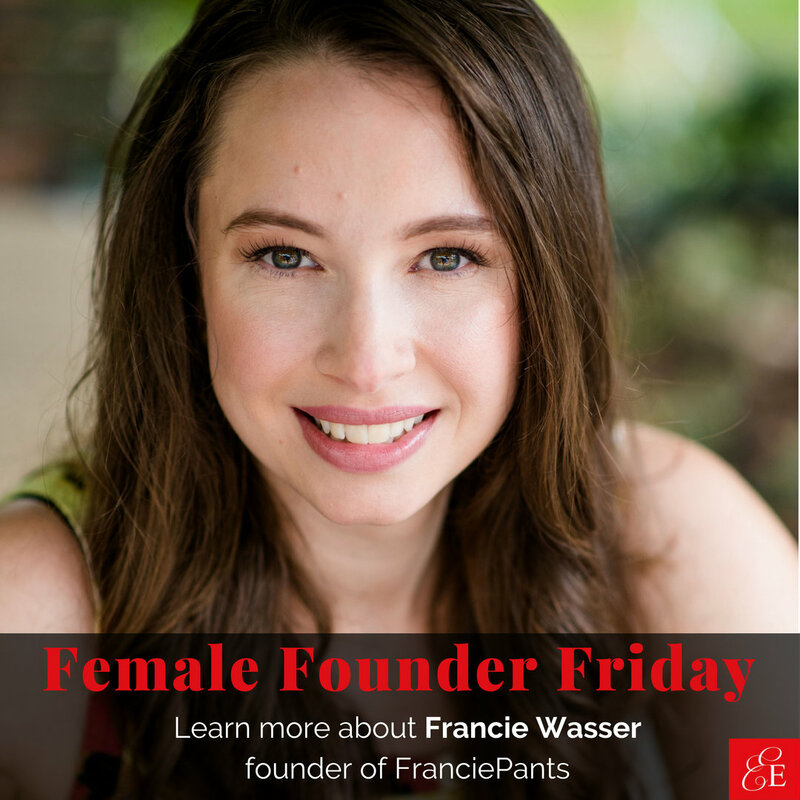 Look no further than The Female Founders Blog created by Danielle Tate, Founder of MissNowMrs.com and The Elegant Entrepreneur. 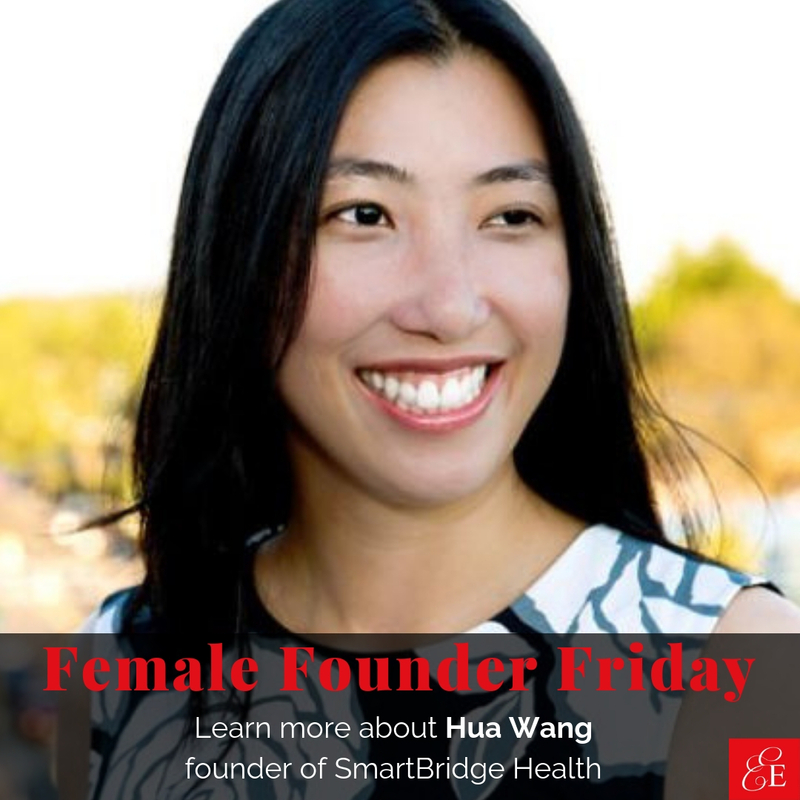 Each Friday, she profiles an interview of an inspirational female founder. We're thrilled that two BEACON community members recently took part!